Sometimes incorrectly referred to as "iMessage," the Messages app is where iPhone owners go to chat with iOS users across the world. Apple has made some significant improvements to the messaging app with its iOS 12 update for iPhone. If you're interested to see how your Messages experience has changed since installing the new firmware, check out the features below. As you might already know, iOS 12's main draw is in its overhaul of iOS' stability and performance. While you'll certainly see improvements on even an iPhone 5S, Messages has a lot more to offer than just a new speedy interface, and you can see everything it has for you in iOS 12 listed below. Audio and FaceTime calls, both group and one-on-one, are both easily accessible right from Messages. While you could make audio and video calls before, it wasn't as streamlined and didn't support group chats. In iOS 12, tap the contact circle (or circles) at the top of your chat, then tap either the "audio" or "FaceTime" buttons to immediately jump into a call. If participants in your group chat start a video call, you'll be able to see a "FaceTime" bubble in the chat. You can tap the "Join" button at any time to jump into the conversation. Unfortunately, group chat won't be arriving until a later iOS 12 update, so this experience will have to wait. When you launch the camera in a chat in Messages, you'll notice something other than your own face looking back at you. With iOS 12, you can use filters to create unique photos to send to friends and family. 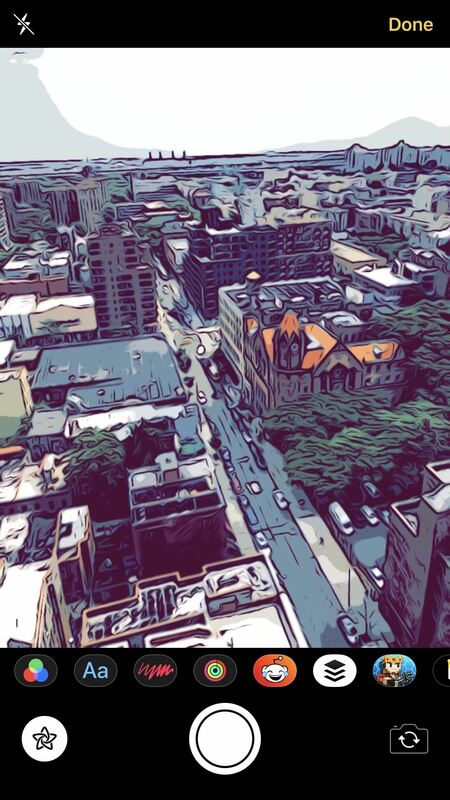 By tapping on the tri-colored circles in the Effects view, you can choose from a variety of fun and interesting effects to apply to your picture. 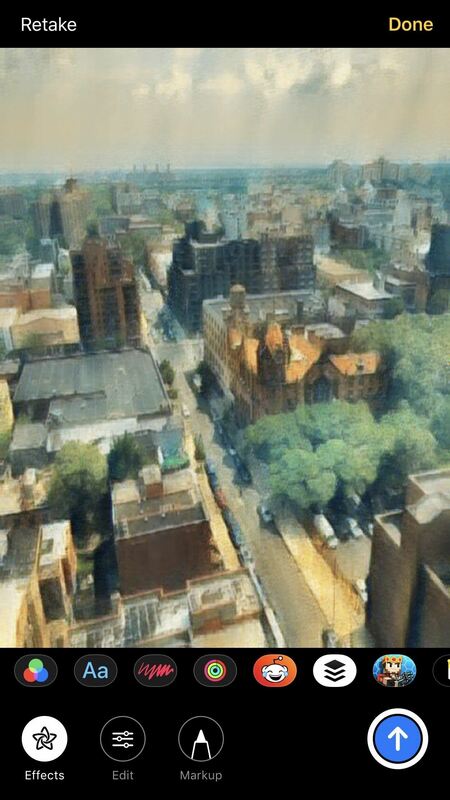 Just like filters, stickers can be used to personalize your photos taken in Messages. While all of your downloaded stickers will be available here, you might not need any to get started, but more on that later. The best part? 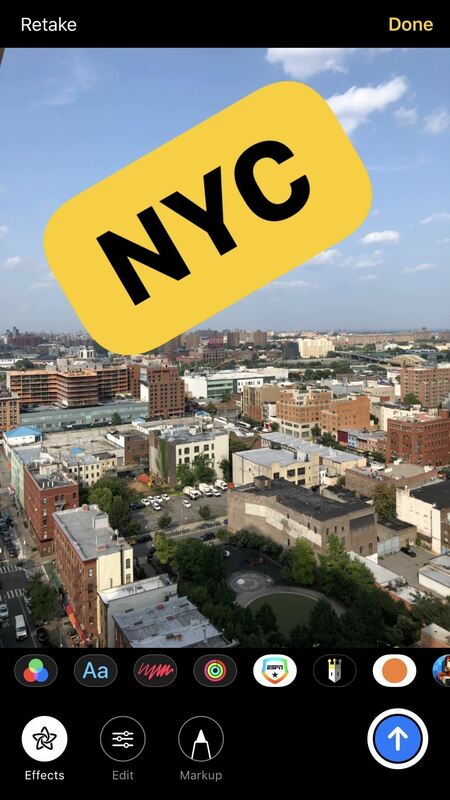 IOS 12 recognizes your face's position in the frame and can map stickers wherever you place them. That way, even if you move the camera, the sticker "stays" in the same spot. If you want to jazz your photos up with a little context, iOS 12 has just what you need. 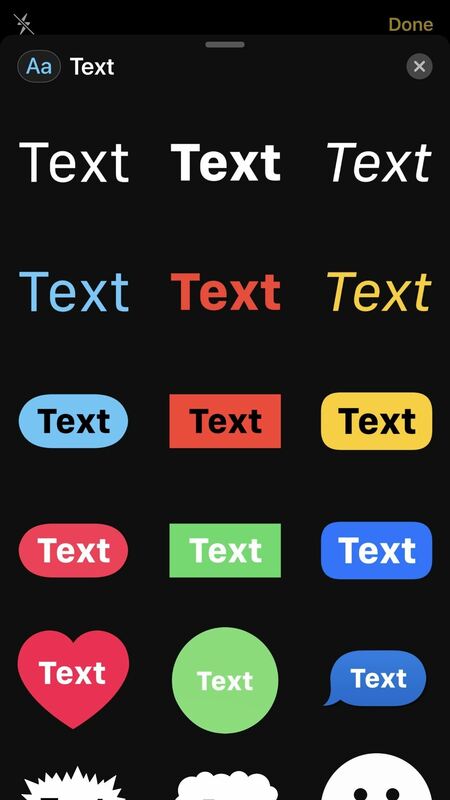 Simply tap the "Aa" text button, choose your text sticker, then get typing. 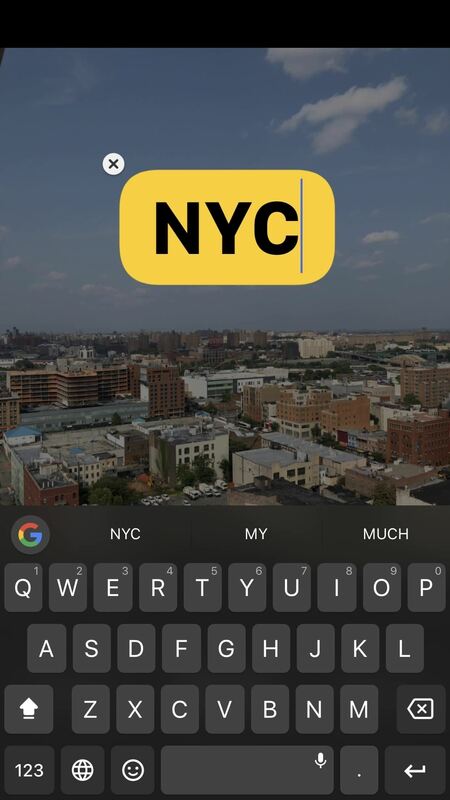 Messages lets you resize and reposition the text sticker anywhere you want, to make sure your text doesn't get in the way of whatever it is you're snapping a photo of. 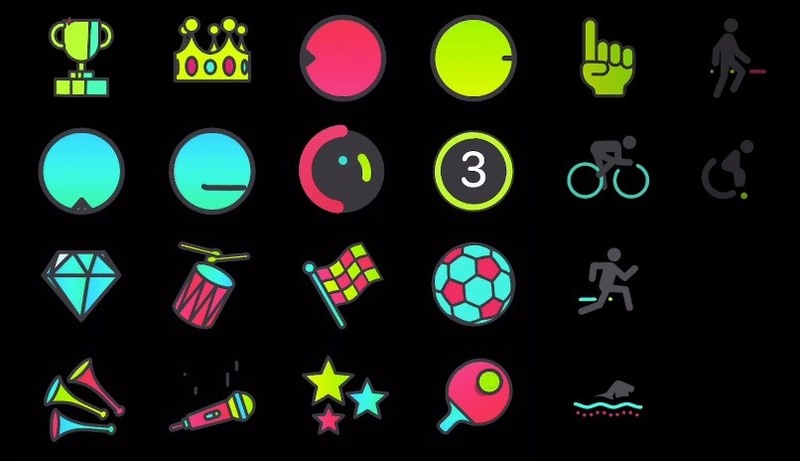 If you have an Apple Watch with an iPhone running iOS 11, you might know you already have access to Activity Stickers for fitness awards you earn. With iOS 12, you can continue to expand your sticker collection with awards, but all Apple Watch users gain access to the same collection of animated stickers. Once you boot up your iPhone after installing iOS 12, it might be difficult for you to find your photo library in Messages. 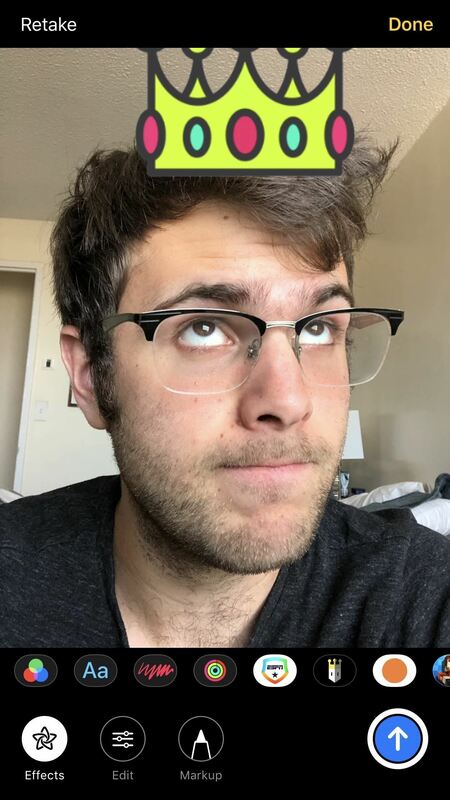 If you tap the Camera icon like you normally would, it'll just launch the camera, with your photos nowhere to be seen. That's right — the camera button is just a camera button now, while your photos will be found in a separate Photos button. Now, there are some new features here that won't be found on all iPhones. In fact, the following features are only coming to the iPhone X (and presumably the upcoming 2018 iPhones), as they all have to do with the iPhone X-exclusive feature "Animoji." IOS 11.3 introduced four new Animoji upon release. Now, iOS 12 is taking a page from its book. 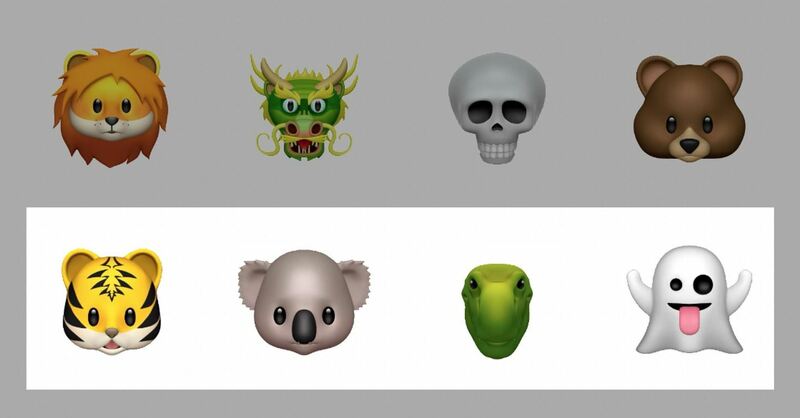 The new update will sport an additional four new Animoji for iPhone X: the tiger, koala, T-Rex, and ghost. 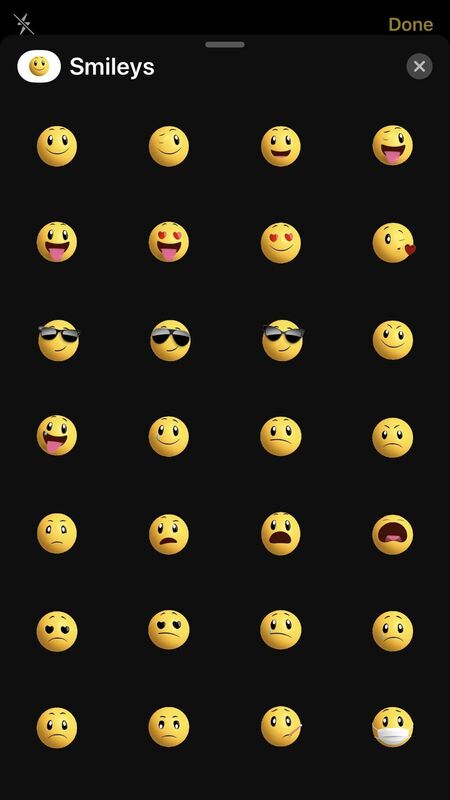 When you update your iPhone X to iOS 12, you'll notice your Animoji interface will be much cleaner than in iOS 11. You'll be able to swipe horizontally rather than vertically to select your Animoji, as well as pull up to view all Animoji options at once. Your Animoji now have tongue and wink detection, adding a new dimension to your animated pals. You can stick your tongue out at a sassy friend, send a wink, or both, all from within Messages. If Animoji aren't personal enough for you, iOS 12 introduces a way for you to turn yourself into one — Memoji are identical to Animoji, except they're you! Set yours up like you would any other avatar — choose your eye color, hair, skin tone, accessories, etc., and you'll be on your way to sending personalized Memoji to all of your friends in Messages.